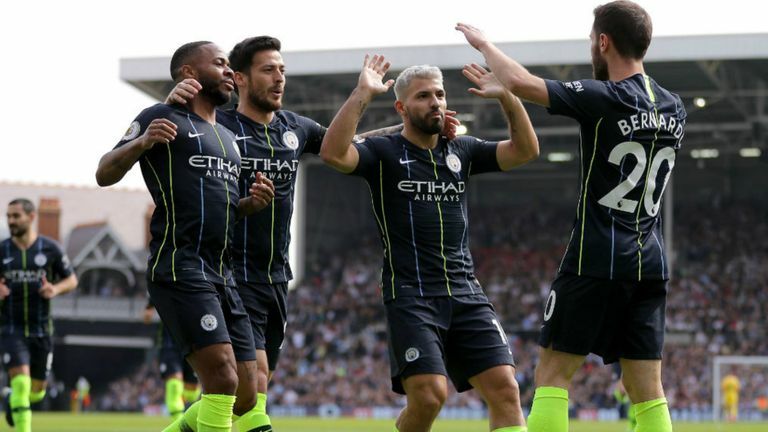 Manchester City went one point ahead of Liverpool on Saturday, following a 2-0 win over Fulham at Craven Cottage. The Premier League champions netted the two goals in the first half, thanks to Bernardo Silva and Sergio Aguero, to seal all three points. City now have 77 points, while the Reds have 76 ahead of their home fixture against Tottenham Hotspur on Sunday. In other matches played today, Manchester United beat Watford 2-1 at Old Trafford. It was Ole Gunnar Solskjaer’s first win after his appointment as the Red Devils’ permanent manager and took them back into the top four. Meanwhile, Huddersfield have been officially relegated from the topflight after they lost 2-0 at Crystal Palace.